Every summer when it gets hot here in Minnesota, my boys start begging me for sugary drinks. I try to get as much water into their bodies as possible, but thirst-quenching kid drinks and summer go hand in hand. Cherry Limeade is definitely a treat in our house.. 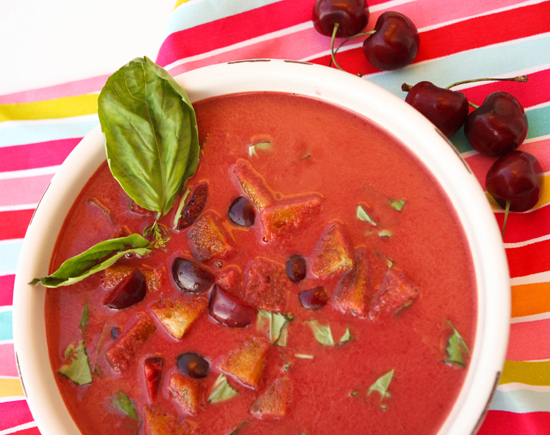 This delicious Cherry Gazpacho Salad recipe came to me as I perused through my archives recently and found this delicious Cherry Gazpacho. Since creating my cookbook I've constantly been thinking of ways to reinvent recipes. 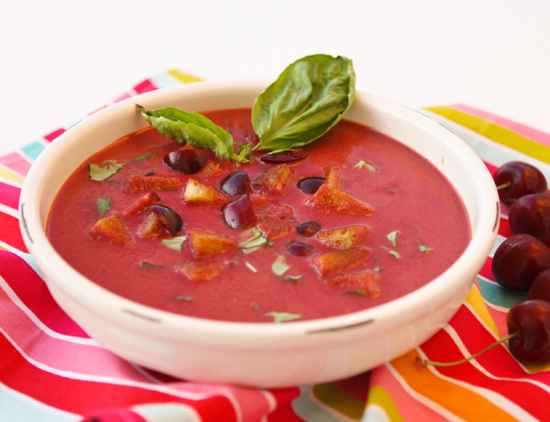 I suddenly saw this delicious fresh soup in salad form.